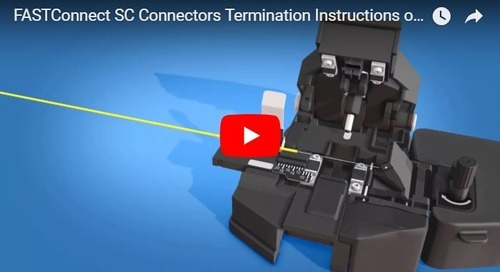 Spartanburg, SC – AFL, a leading manufacturer of fiber optic cable and accessories, is expanding its rapid deployment ground tactical fiber optics solution to include the new Sidewinder Rapid Cable Deployment System. This system eases the deployment of tactical fiber optic cables by greatly reducing handling and set up time for portable deployment and retrieval in field conditions. The Sidewinder reel system is made from a high impact grade polymer that is also light weight and easy to handle. The removable handle enables fast sidewinding action so that cable rigging can be accomplished rapidly. The reel features storage capacity for up to a kilometer of 4-Ch tactical cable and offers convenient access to both ends of the cable by use of a storage flange around the central hub. Additionally, the reel features custom engineered foam inserts that provide for secure storage and protection of cable end terminations inside the drum as well as a built-in storage location for a field cleaning kit or repair kit. 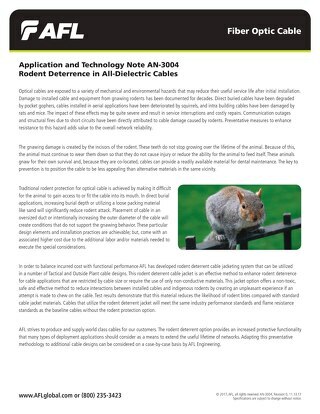 AFL’s tactical fiber optic solutions are ideal for use in installations where extreme environmental conditions are present such as outside broadcast, military tactical, mining and oil and gas applications. For additional information about AFL, its products and services, visit www.AFLglobal.com. AFL provides industry-leading products and services to the electric utility, broadband, communications, enterprise and OEM markets as well as the emerging markets of oil and gas, mining, nuclear, avionics, renewables and transportation. 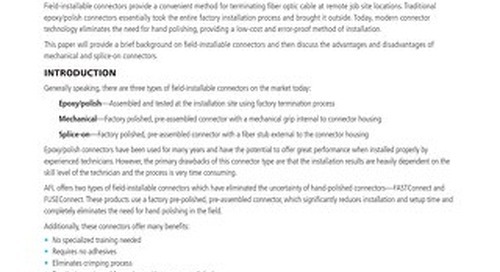 The company’s diverse product portfolio includes fiber optic cable, transmission and substation accessories, outside plant equipment, connectors, fusion splicers, test equipment and training. AFL’s service portfolio includes market-leading positions with the foremost communications companies supporting OEM, outside plant, enterprise and wireless areas. Founded in 1984, AFL is proud to offer engineering expertise, exceptional products and reliable service that help our customers improve their critical and electrical infrastructure. 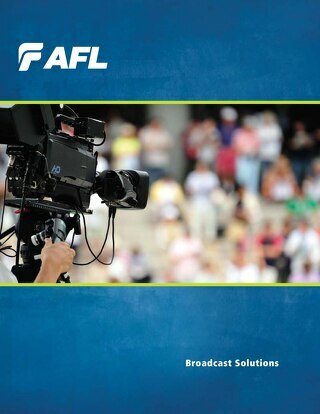 AFL has operations in the U.S., Mexico, Canada, Europe, Asia and Australia. The company is headquartered in Spartanburg, SC and is a wholly-owned subsidiary of Fujikura Ltd. of Japan. For more information, visit www.AFLglobal.com. 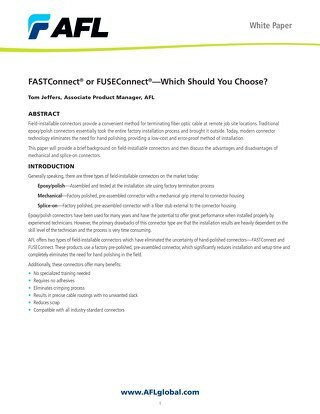 Five instructional videos for AFL's FASTConnect® connectors. As the demand for high-definition broadcasting signal transmissions has increased and the transition to DTV/HDTV has been fully realized, the role of fiber optics continues to grow. 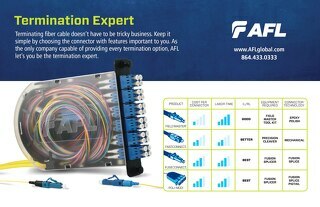 Deploying cable in harsh environments doesn’t have to raise your blood pressure. 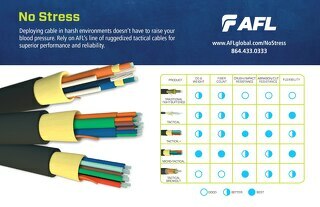 Rely on AFL’s line of ruggedized tactical cables for superior performance and reliability.